This is the third and concluding post in my series about Asheville’s remarkable brewery restaurant Wicked Weed, which opened in December 2012. Last week we went out to a late breakfast/early lunch at The Perch, our local crêperie par excellence. 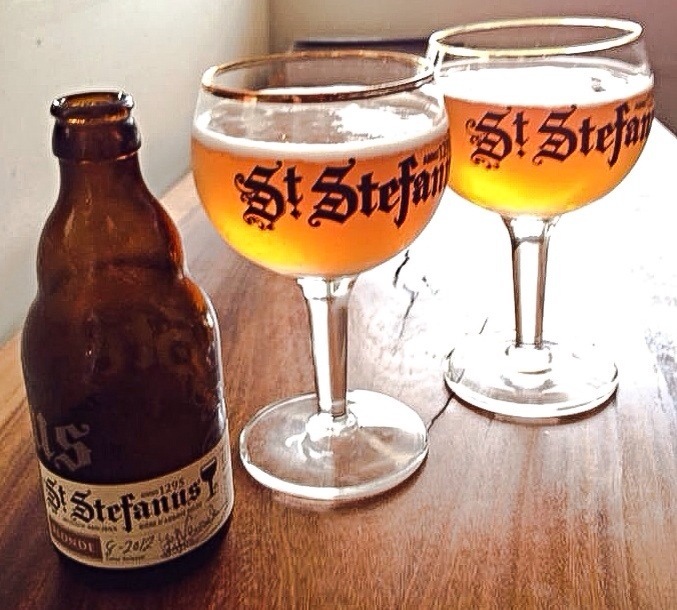 I hadn’t been by for a while, and although I was probably headed towards a cup of strong tea with my crêpe or maybe an espresso concoction, as my eye wandered over the short wine list chalked on the board I noticed their only beer offering: St. Stefanus Blonde Ale from Belgium. I suppose if they could only have one beer, it was a good choice! 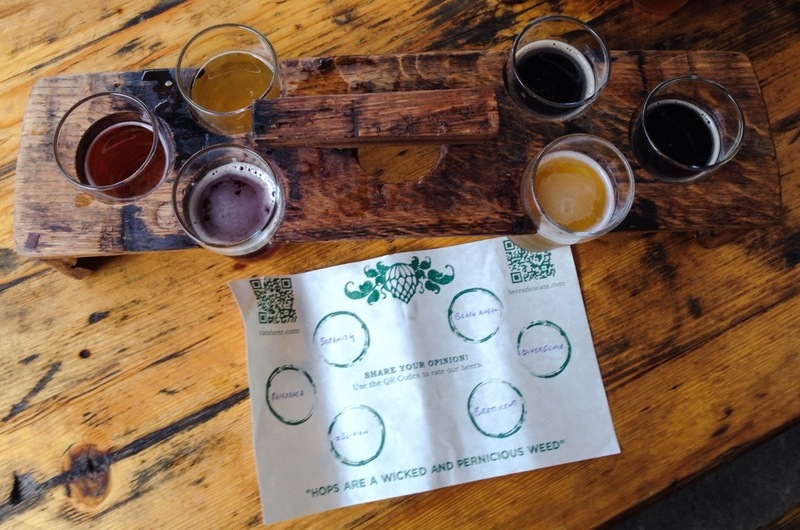 Wicked Weed Brewing divides their beers into four regular draft categories on their menu and chalkboards: Hops Are Heresy, Beautiful and Belgian, Wicked from the Wood, and From the Funkatorium. They also list a fifth draft category for special, seasonal beers (during our visits they were rolling out a World Cup series), and a sixth category for beers available in bottles. During my two visits I was able to try 22 of these uniformly excellent brews, from all categories except bottles (although I did bring home three bottles that I haven’t cracked yet). Yet there were a few that I missed – some taps ran out and were being replaced with World Cup series beers, and at a certain point each day I had to give up taking notes and end my tasting session with a full glass. With only a couple days to spend in Asheville on a family vacation, it was difficult to narrow down what beer spots to check out. 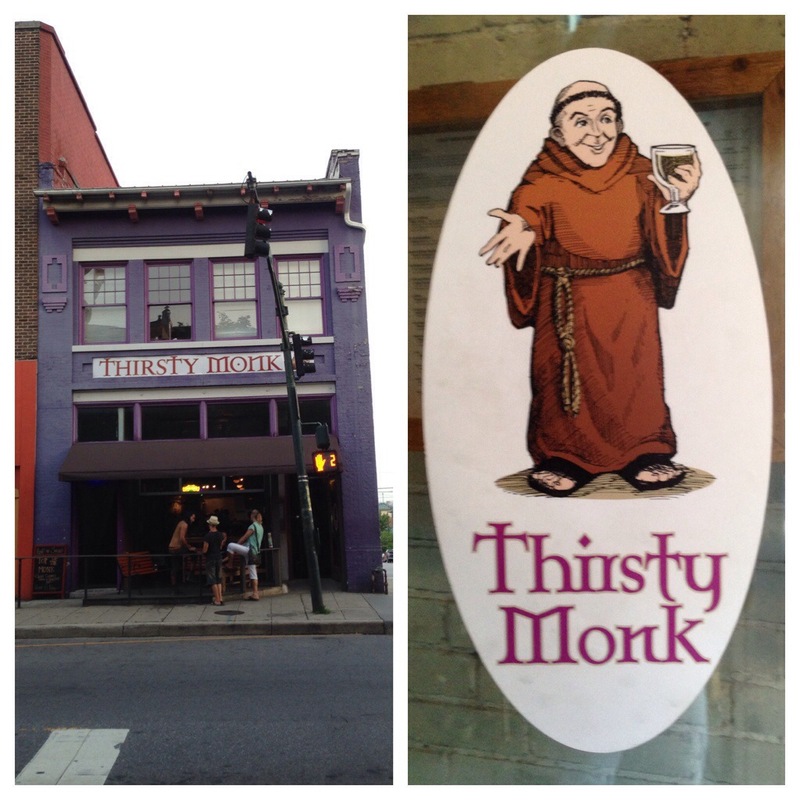 When your very tolerant traveling companions are (understandably) not as obsessed with finding the best beer experiences to be had as you are, things can get tricky in a town like Asheville, especially when one of them is not even of drinking age. This narrowed down my choices to brewpubs – a term that is inadequate in the face of the subject of this post: gastropub? brewery/restaurants? – but even if I left out the taprooms that have limited food offerings, there were still too many to hit in the time I had, even if I did nothing but drink beer while I was there. 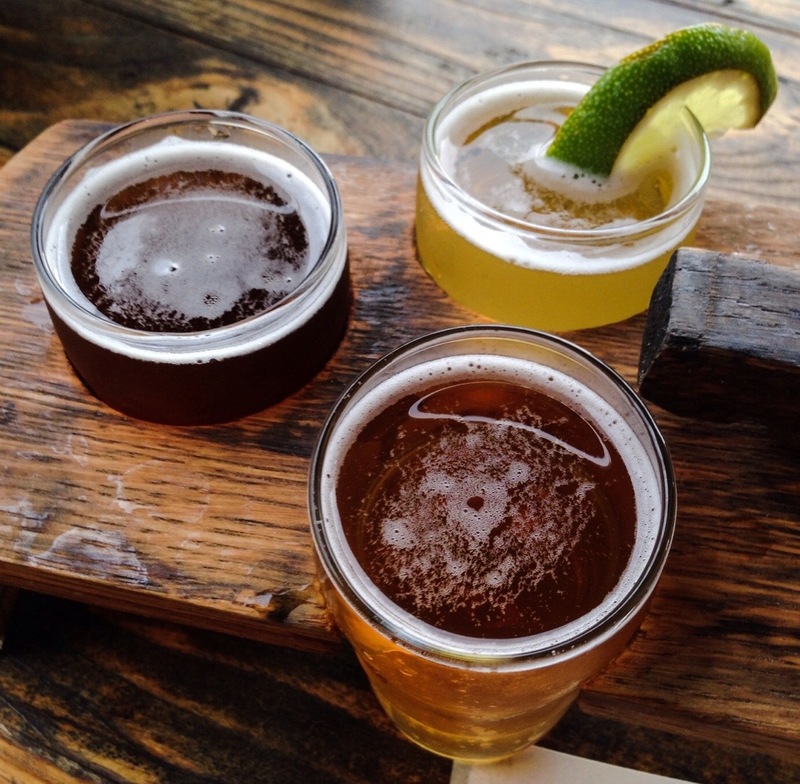 Asheville is a regional Mecca for Southern beer lovers. 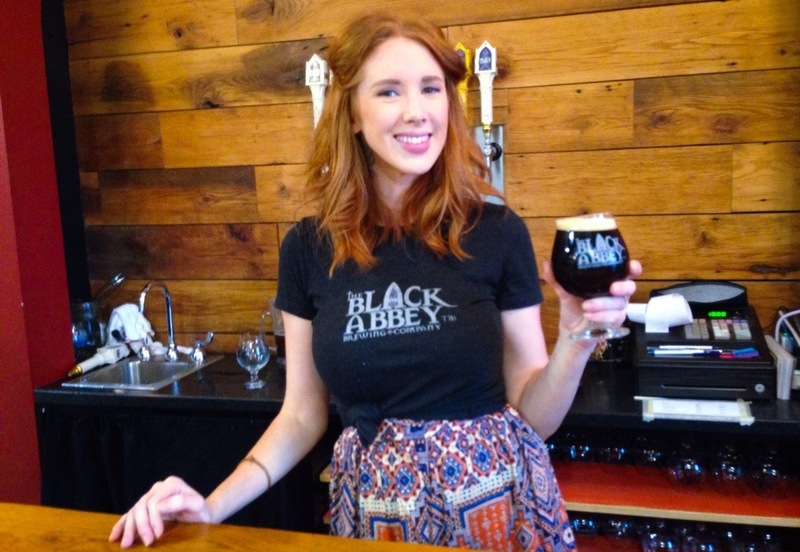 There are more than a dozen breweries or brewpubs with an Asheville address, and many more nearby. Highland and French Broad have grown over the years to become major craft beer labels: their beers are widely distributed throughout the region and well known to craft beer enthusiasts in Nashville. New Belgium announced in April that they will build their $115 million East Coast brewery in downtown Asheville, Sierra Nevada will open a $108 million brewery in nearby Mills River, and Oskar Blues most recently announced that their new East Coast facility will be located in Brevard, 35 miles away. Yet when confronted with a local beer bar that features two taprooms – one for American craft beer and one for Belgian style ales, many from Europe – I took advantage of the opportunity to try some rare Belgians I had never tasted before.